Call it a ‘tech demo’ all you like but Quantic Dream (the folks behind the game Heavy Rain) have created one of the most moving 7 minutes of short film viewing I’ve seen in a while. 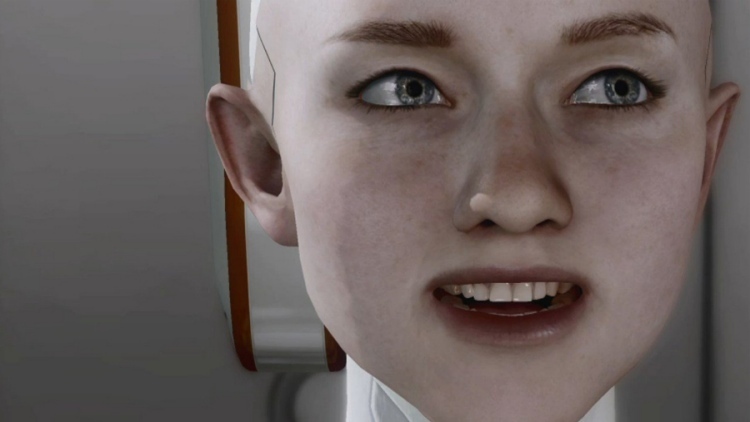 Directed by David Cage and modelled on / voiced by Valorie Curry, Kara tells the story of a disembodied operator (Tercelin Kirtley) running through a series of final checks on the assembling android Kara. She moves her eyes, sings in Japanese and takes her first few tentative steps before inadvertently putting her existence in jeopardy by being all too real.